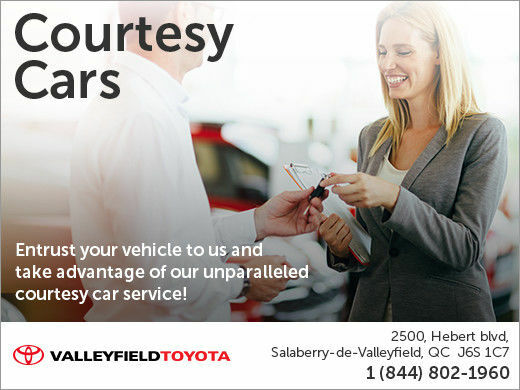 Take advantage of our courtesy vehicle program at Valleyfield Toyota! When you leave your vehicle at our service department, we'll make sure that you're well taken care of! That's why we're proud to provide courtesy vehicles to our service customers, so you can stay on the go while we tune up or restore your car. 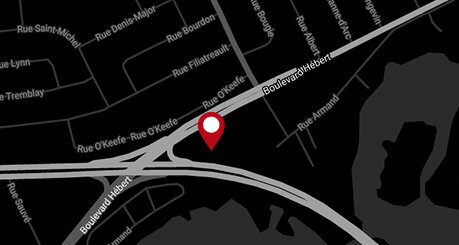 Visit our dealership today, or simply fill out our online formula to book your service appointment today!